If you have a single doubt about your leadership team, you need to seriously reconsider. Your team must be unified and feel fully invested in the only acceptable outcome – complete success. Getting through diligence is very hard, and a trustworthy and effective team makes an enormous difference for sure, but the post-close INTEGRATION of these two companies is a significantly more daunting task. Everyone that is key to the integration team will be required to drive their individual scope of work and make personal sacrifices for the overall success. As a leader, you will need to constantly and accurately feel the pulse of your team, understand and manage their limits, manage emotional impact, and step in when needed. It WILL be needed. Team matters most! Take care of your team and this is achievable. As a company focused on agile delivery excellence, we naturally decided to employ the same techniques to this massively complex “project.” Definitely the right call – the visibility and traceability that this provided was key to our successful result. We divided the integration into six functional scope areas – HR, Finance/Accounting, Contracts, IT, Delivery, and Admin/Ops. We used a Kanban board to track hundreds of work items, leveraged agile practices like a Daily Standup, and tried to employ the continuous improvement philosophy to our efforts. Simply put, you must manage this like a challenging project, and using the agile approach worked. It’s likely not possible to over-communicate in these situations. It’s also critical to be intentional about each and every communication you put out. To us, messing up communications could have made this fail. We wanted our people to understand what was going on. Our leadership team, with a huge focus on the People & Culture side of things, spent significant amounts of time figuring out how to announce, tell, share, display, elaborate, and communicate, every single part of our integration. It must be as transparent as possible and shared widely. Keep in mind that we re-evaluated every aspect of our business. This created lots of change for lots of people. Ultimately, we chose a variety of communication approaches including all-hands call, emails, “office hours”, and social events for new colleagues to meet each other. Certainly, there are parts I would do differently if I had a do-over. However, in the end, I feel like communication was incredibly important and we treated it as such. With just a few smallish missteps, we were able to communicate our direction, our goals, and provide a vision for the future of TeraThink. Everyone understands that a company’s culture is one of the most important reasons their people choose to work for them. 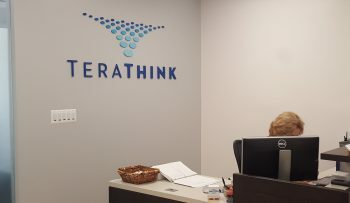 TeraThink is no different – It is the heartbeat of our company; it defines us. So, when integrating two companies that have been operating for a combined 23 years, a culture clash is a big risk. You must tread carefully, but intentionally in the right direction. This is so very critical and needs to be monitored very closely. You must have conviction, and you must show it. The culture you want will be completely elusive if painstaking efforts are not taken throughout all aspects of the integration. We sought the opportunity for feedback directly from employees often, and I personally received and responded to many individuals. If your employees believe in your business and your culture, everyone benefits (the individual employee, the company, your clients). Know what your culture and values are and invest in maintaining and highlighting those at every step. Throughout our integration effort, we used a “what is best” approach to determining our future operating model. Given that no company gets everything right (Exhibit A: Amazon website goes down on Amazon Prime day), you can use the merger as an opportunity to evaluate how everything (literally) is done within the business. We would look at what each legacy company did for any given item and either adopt the “best” or create a new “best” using elements from both companies. Keeping budgetary impact in mind, you can make great strides to overall improvement here. It isn’t easy, but it is truly available as an opportunity to improve if managed correctly. For all the right reasons I could author a ton on this topic. These five ingredients to the larger recipe for success merely touches the surface of what we learned and and accomplished. Choosing to merge Dominion Consulting and TeraThink was hard. But we knew that. We understood that it would be that way. We chose to pursue anyway, and we have succeeded. In mid-July, I was incredibly proud to announce to our employees and to our esteemed Board of Directors that we were DONE with integration. We had succeeded. Seven or so short (ok, very long) months since we closed the deal, we are back to one-vision, one-strategy, one-company.